located across the property for the convenience of our members. 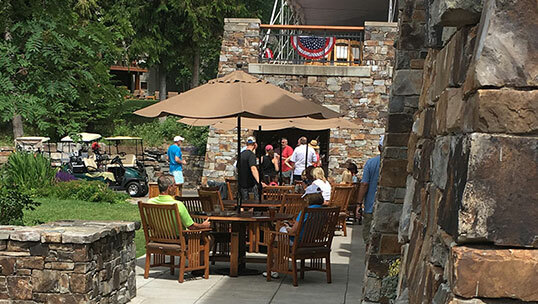 Located in the Clubhouse, the main bar offers a casual atmosphere in which to enjoy a cocktail, appetizer, or a meal from our dining room menu. There are two TVs to watch games or special events. On chilly days, the fireplace will be roaring. Located in the Clubhouse, the main dining room delivers the “Montana Experience” boasting massive trees. The dining room is book-ended by two gigantic rock fireplaces. Our culinary team consistently delivers exquisite fine dining options that compliment life in Montana. Located in the Clubhouse, the Men’s and Ladies’ Locker Rooms are open year round. A complimentary breakfast bar is offered daily, featuring house-made pastries, bagels, oatmeal, and fresh fruit. A rotating soup or chili are served every afternoon. Located at the end of the #9 fairway, the Dog Show is an Iron Horse icon. 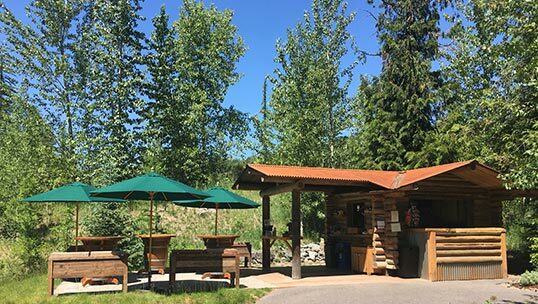 Serving made-to-order brats, chicken skewers, and the like, golfers can stop by to refuel before heading to the back 9. An assortment of beverages is also available. The grill at the Larkspur Pool offers a convenient dining option for members enjoying a day poolside. Hamburgers, salads, chicken strips, soda, beer, wine, ice cream, and much more are available for order. 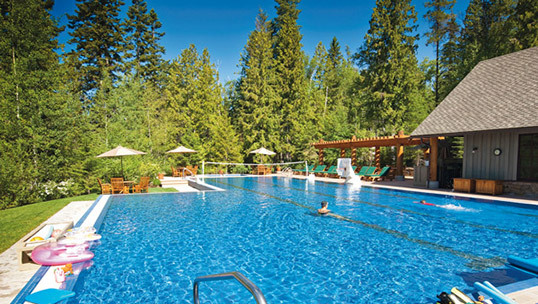 If not in the pool, relax on the deck, play a game of ping pong, or a soak in the hot tub. The Pool House offers men’s and women’s locker rooms and full shower amenities, as well as a designated place to use cell phones. The Pony Express is located in the courtyard of the Clubhouse. Members can enjoy a complimentary snack before or after a round of golf or as an alternative to the dining room. We offer an assortment of options for adults and kids alike, from breakfast sliders and lattes to pizza by the slice, chicken paninis, and pulled pork sandwiches. Located on the North Patio, the Covered Patio Kitchen is the perfect place for private parties and evening cookouts.